Basketball Manitoba is pleased to offer the 'Junior Officials Development Program' (JODP) clinics designed for people new to refereeing or have some officiating experience that are 15 years of age or older. 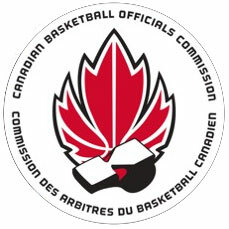 The program is designed to improve the overall level of officiating in the Junior High (Middle School) and for the WMBA. The clinic on Jan 9th is intended for 1st year and 2nd year officials including adults or youth over 15 years of age. Note: This certification is required as well for to officiate in RETSD. The cost for this workshop is $50. Cheques must be made payable to Basketball Manitoba and presented at the 8:30 AM registration on Jan 9th. Costs will be covered for RETSD students who will be officiating in RETSD in grade 7- 9 leagues. A rule book will be provided. Participants must bring a whistle or may be available for purchase at the clinic for an additional $5. Registrants will gain rules knowledge and experience in practice opportunities during the clinic. Please dress appropriately, wearing athletic footwear. Bring a lunch! PE/HE Consultant Middle/Senior Years, RETSD.